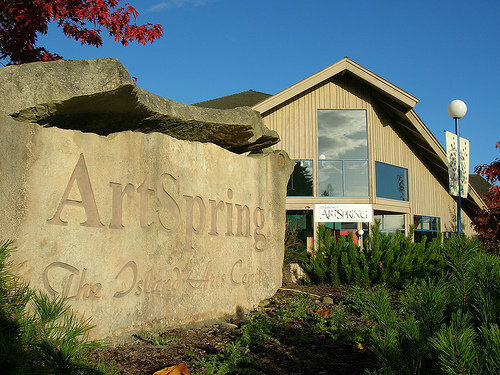 ArtSpring is an 11,800 square-foot, two-level heavy timber structure boasting a 5,200-square-foot exhibition/ multi- purpose area and a 6,600-square-foot, 265-seat theatre. ArtSpringâ��s activities are primarily associated with rentals by local professionals, semi-professionals, amateurs, school groups, guilds and visual artists. Events presented by ArtSpring are chosen to complement, enhance and diversify what is already available through local arts organizations. Artist Robert Bateman officially opened ArtSpring in April 1999.